Expand your built-in grip diameter in an instant with our new 3/4" diameter stainless steel grip. 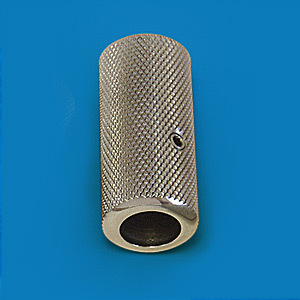 This knurled grip is made for use on our stainless steel or lexan tubes with built-in grips only. The grip is 2" long with a 7/16" diameter hole. Includes one 8/32" x 1/8" set screw (#3153).